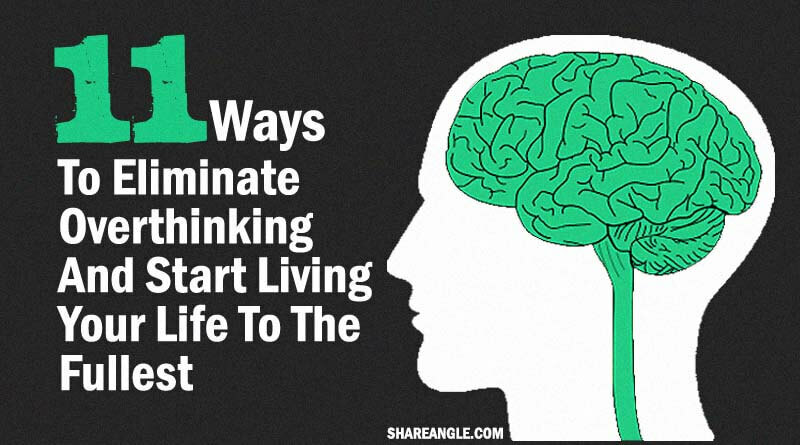 11 Ways To Eliminate Overthinking And Start Living Your Life To The Fullest - ShareIt! Overthinking doesn’t sound so bad on the surface–thinking is good, right? But in the past 10 years or so I’ve learned how to make this issue so small that it very rarely pops up anymore. And if it does then I know what to do to overcome it. In this article we like to share 10 habits that have helped me in a big, big way to become a simpler and smarter thinker and to live a happier and less fearful life. 2. Learn the reasons why over-thinking is harmful, and let it motivate you. 3. Put things into a wider perspective. It’s very easy to fall into the trap of overthinking minor things in life. I’ve found that widening the perspective by using this simple question can quickly snap me out of overthinking and help me to let go of that situation. And to focus my time and energy on something that actually does matter to me. 4. Don’t think of what can go wrong, but what can go right. 5. Become a person of action. 6. Develop the skill of forgiveness. 7. Don’t get lost in vague fears. Another trap I’ve fallen into many times that have spurred on overthinking is that I’ve gotten lost in vague fears about a situation in my life. And so my mind running wild has created disaster scenarios about what could happen if I do something. 8. Stop waiting for perfection. You can’t have a regretful thought and a grateful thought at the same time, so why not spend the time positively? Every morning and every evening, make a list of what you are grateful for. Get a gratitude buddy and exchange lists so you have a witness to the good things that are around you. 10. Solve another person’s problem first, and get perspective. 11. Spend more of your time with people who do not overthink things. Find ways to spend more of your time and attention with the people and input that have a positive effect on your thinking and less on the influences that tends to strengthen your overthinking habit. Thanks for reading, and Start working on yourself :D!